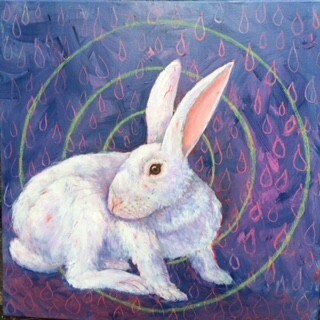 A fearful rabbit, positioned with its eye at the center of a target. The blue and pink background is incised with drops - drops testing chemicals for beauty products and tear drops. Europe has outlawed animal testing. Why not in the USA?